The Micro Bluetooth USB Adapter (Model TBW-106UB) networks Bluetooth enabled devices such as cell phones, keyboards and headsets. 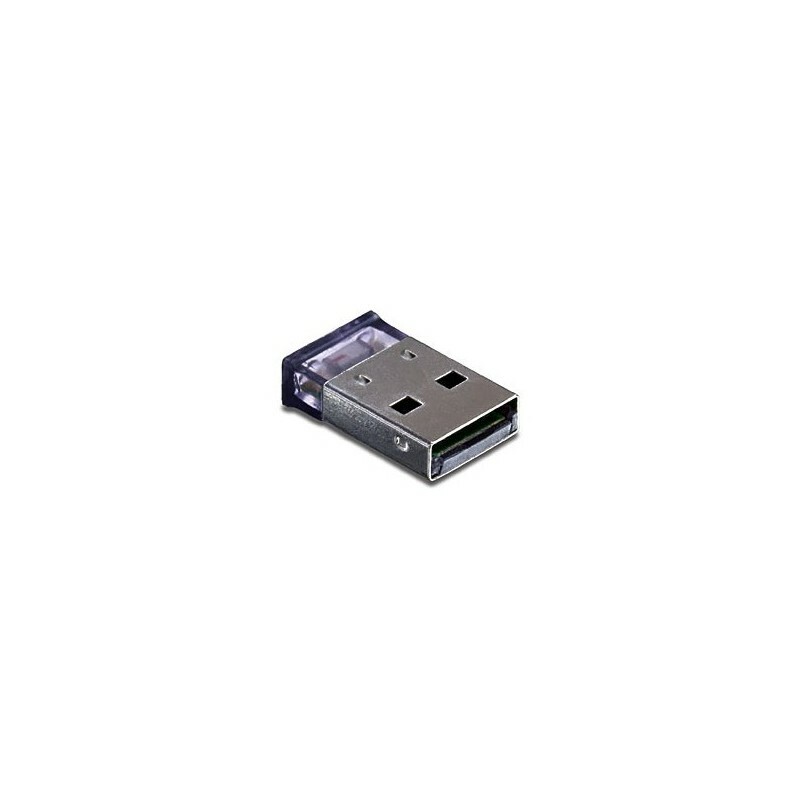 The size of a penny, simply plug this micro-device into an available USB port on your laptop or desktop and experience exceptional Bluetooth connectivity. Connect as many as 7 Bluetooth devices at distances of up to 100m (328ft). Enhanced Data Rate (EDR) technology transfers your data quickly. Adaptive Frequency Hopping (AFH) minimizes interference from other wireless technologies. This compact device also provides secure encrypted data communication.